Camping World Stadium, better known as the Citrus Bowl, was built in 1936, though the stadium back then only had seats for 8,900 people. The stadium got first expanded in 1967 and once more in 1974, after which it could pack 48,000 spectators. 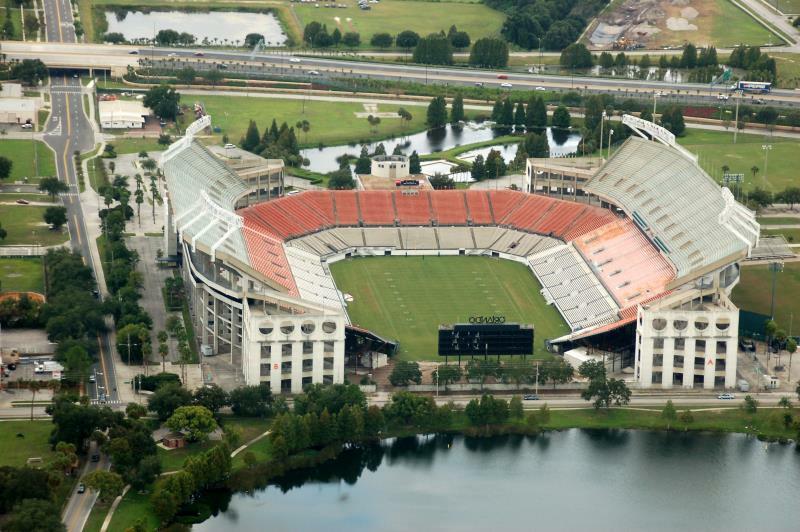 The Citrus Bowl reached its current shape in 1989 when it underwent a next expansion and modernisation. The Citrus Bowl was one of the playing venues of the 1994 World Cup, during which it hosted four first round group matches and the round of 16 match between the Netherlands and Republic of Ireland (2-0). In 2006, plans were presented for the almost complete reconstruction of the Citrus Bowl, with only the two upper decks remaining and the rest of the stadium rebuilt. It took until 2012 for a funding agreement to be reached and until early 2014 for demolition works to start. The upgraded Citrus Bowl opened in early 2015. 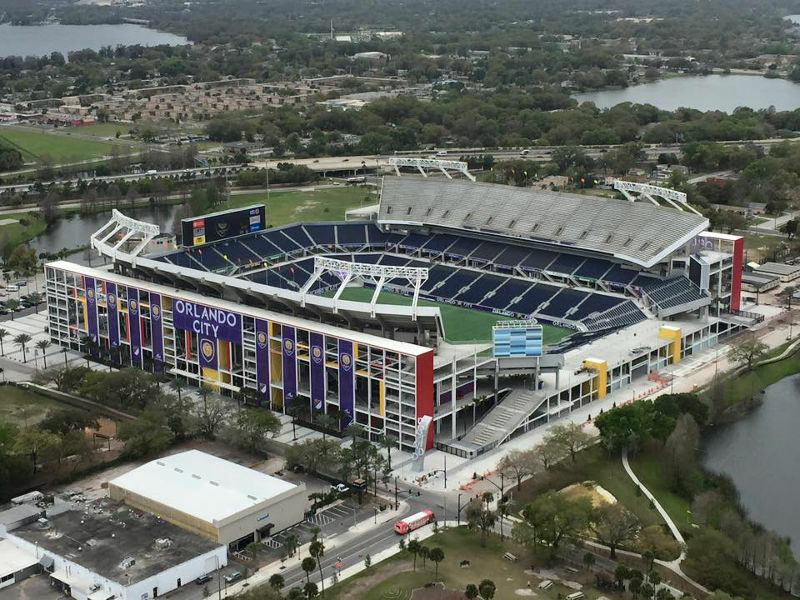 The Citrus Bowl was for two years the home of Orlando City, however the club moved to a newly-constructed soccer-specific stadium, Orlando City Stadium, in 2017. In 2016, the stadium got renamed Camping World Stadium following a naming rights sponsorship deal. 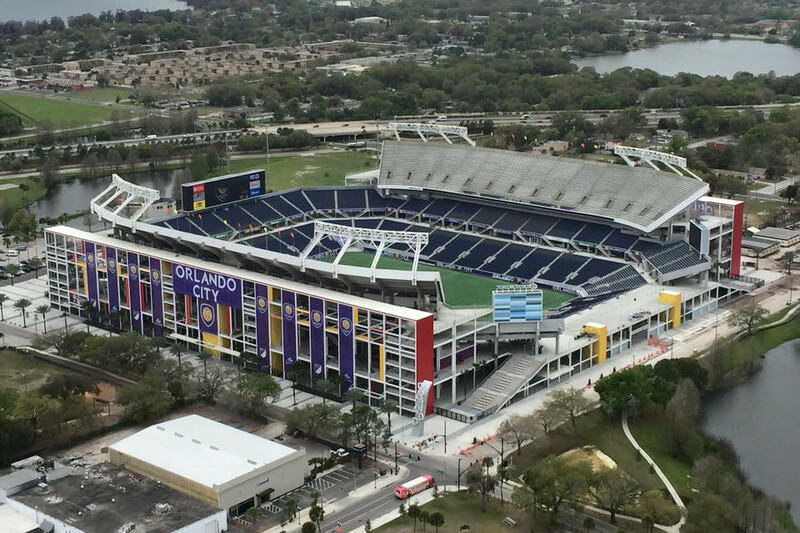 Camping World Stadium is located in central Orlando at just over a mile west of downtown Orlando. The stadium lies almost adjacent to the FL-408 highway. Take exit 8b or 9 and turn north. The stadium is visible from the 408. Orlandocitysoccer.com – Official website of Orlando City. Visitorlando.com – The official source for Orlando travel planning.